Available as an eBook. Soon additional short stories will be added to "Shoe's on the Other Foot" and will become available in print. A NOVELLA: At age 32, Honey Ray Howard learns who her father is when her mother, Lydia, is on her deathbed. Before Honey was born, on a holiday from the States to England, Lydia fell in love with a British fisherman in Dorset, but circumstances prevented them from marrying or ever seeing each other again. 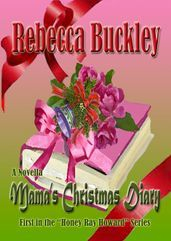 Now Honey Ray's life takes a sharp turn and the road gets rough before a very special Christmas ending. This is the first book in my next Contemporary Romantic Suspense series ... the 'Honey Ray' Series.